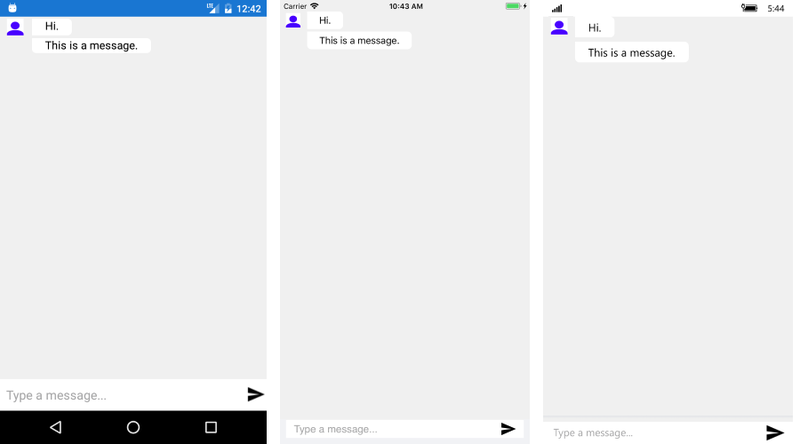 ChatMessage is the basic message unit in RadChat. It contains information about the Author of the message as well as any additional data regarding the message. By default, when the end user types in the textbox and confirms the message, it is set to the to RadChat's Message property. In addition, the SendMessage event is fired each time a new message is about to be added to the chat UI. It is allowed to modify the message itself. The TextMessage is intended to be used for sending a simple string type message. It derives from ChatMessage and provides an additional Text property which holds the string message.